In this post, we are covering the top 10 best camera apps for your android mobile phone to download and use for more efficiency. Android camera apps let you take pictures, do the required editing, share with the others on the web/social networks. Apps mentioned in this post will let you do it faster than the default one! Tip: You can also use online photoshop for photo editing. The every new day brings new inventions & improvements in the technology. When it comes to mobile technology, every firm want to make their device (or OS) more efficient and user-friendly so the new devices come with that but what if you’ve an old device and have no budget for owning the latest one. The mobile apps developers made it possible to bring the ease & improvements in the old devices too. Actually they are developing apps touching the edges of the latest technology and thus users can download and install the app on their device to enjoy the latest features. For instance, the new versions have the camera apps with faster performance, editing features, options for sharing on social networks etc and that all are features of the camera apps we are bringing through this post. An example is Nexus 5 which makes it impossible of getting the real view of what is being photographed. The reason is its poor view finder. HTC considered as a great camera phone but suffers from a poor user interface. 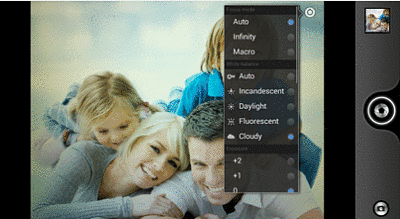 It hides all photo shoot settings and options deep inside the menu. So you can download the below photo apps for your android and can enjoy the features that your mobile's default camera don't give you. If your smartphone’s built-in camera has lack of features you need then consider giving a look at the below camera apps that are launched in the play store with all these needs that you expect from a camera app, so you can choose the best one for you and can put inside in your mobile phone. HD camera ultra is one of the great android camera app offers some best and unique features and is available on google play for free. The features include a simple & faster user-interface, Focus mode, white balance, disabling shutter down, exposure and few other photo editing tools inside. Yet another best ever and free camera app for android discovered is here. It gives you unique photo editing options with ease of shooting. A faster, smoother and New ID Photo Cam in the new version. Cloud album, instant sharing options and lot of more features offered by Camera360. Since the actual version of this is not yet been launched but you can try its beta version which comes with the great-looking features. 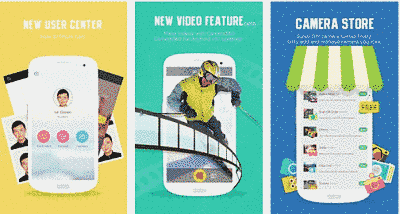 It offers immense photo editing features on your android. It also gives device-specific features for few devices only. It featuring support of many photo & video modes e.g burst mode, timer mode, scene mode and shutter speed on sony devices. Also has a review drawer shows you the most recent photos. You can hide the widgets temporarily by swiping a twice time. High-framerate video is also possilbe at video mode. 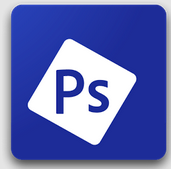 Till now, no other application gone ahead of the adobe photoshop online. It’s now also available on your android mobile. Photshop’s camera apps for your android packed with immense of features. Give you options to share your photos more quickly, Resizing images, cropping, splitting, add special effects to your photos like remove red eye or pet eye, Blemish Removal which removes the spots, dirt and dust from your photos in one touch. Add border from the pre-made templates, Edit photos in raw stage. And lots of other eye-catching features are included in it. A great camera app for your android comes with features you except from a camera app. Quick sharing options, Editing, tap-to-shoot and exposure control and few other unique features offered by pudding camera. You can also try BeautyPlus - Magical Camera. Line Camera and Candy camera which also comes with the great features and are available for download on the google play store. If you think missing out any of your favourite that is worth adding to our list of top 10 best camera app for android, you are appreciated to let us know of that by leaving a note in the comment section. You are most welcome dear Ahmed!